President Muhammadu Buhari has approved the establishment of a new battalion of the Nigerian Army as well as a new Police Area Command in Birnin Gwari Local Government Area of Kaduna State, as part of measures to scale up the security response to the banditry affecting the area. Senior Special Assistant to the President on Media and Publicity, Garba Shehu, in a statement said, Buhari strongly condemns the latest massacre of innocent Nigerians in the area. “I am deeply outraged by this unwarranted, unprovoked and reckless destruction of lives by bandits who belong to the lowest level of civilization. I feel the pains and devastation of the families of the victims, and this administration will do everything possible to ensure we defeat these enemies of humanity,”Buhari said. He explained that the new Army Battalion and the Police Area Command are the latest in a series of law enforcement measures to ensure more effective protection of lives and property, in and around Benue, Kaduna, Taraba, Zamfara and Nasarawa States. It recalled that the Nigerian Air Force had last week took delivery of two new helicopter gunships for deployment to parts of the country affected by banditry. A Quick Response Wing has also been established by the Nigerian Air Force in Taraba State, while a Joint Military Intervention Force is fully on ground in Benue. 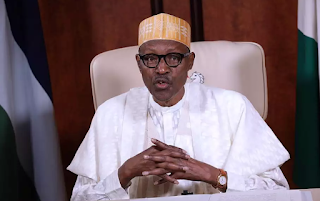 Buhari assured that security remains a priority for his administration and that it will not tolerate the persistent killing of innocent people in order to set Nigerians against one another. According to the President, “these persistent killings are not spontaneous; there are subterranean forces with a sinister agenda to instigate war in the country for selfish purposes. The President extended his condolences to the families of the victims, the government and the people of Kaduna State over this unfortunate tragedy, assuring that his government will never abandon them to their fate.